Timed with the debut of iOS 11, Apple has uploaded three new tutorial videos for iPad owners, offering brief demonstrations of some of the operating system's tablet-centric features. The additions include "How to copy and paste across devices with iOS," "How to retouch a photo," and "How to magically convert handwritten notes to text then share them." 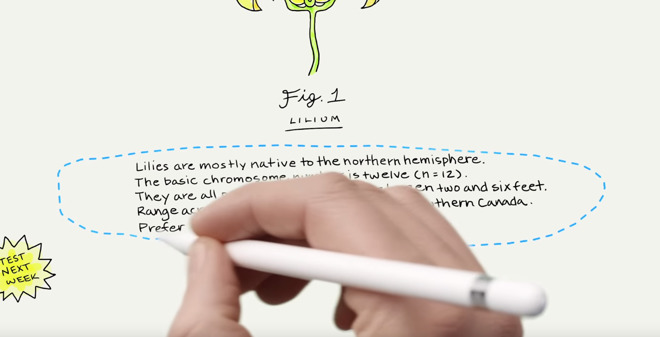 Earlier videos covered topics like the new Dock, the Files app, and marking up images using an Apple Pencil. Universal copy-and-paste has been present since iOS 10. The retouching video likewise covers pre-existing Pixelmator functions, but Apple is presumably eager to showcase some of the possibilities of the iPad's touch interface. Released today, iOS 11 radically reworks the iPad's multitasking system, adding not just the Mac-like Dock and the Files app, but a new task switcher and easier launching of Split View. It's also possible to drag-and-drop between apps, whether open or closed.